Donnie Martin III, is a hard-working young man from a good family. Donnie was battling addiction and his family fears that his demons put him in a dangerous situation. 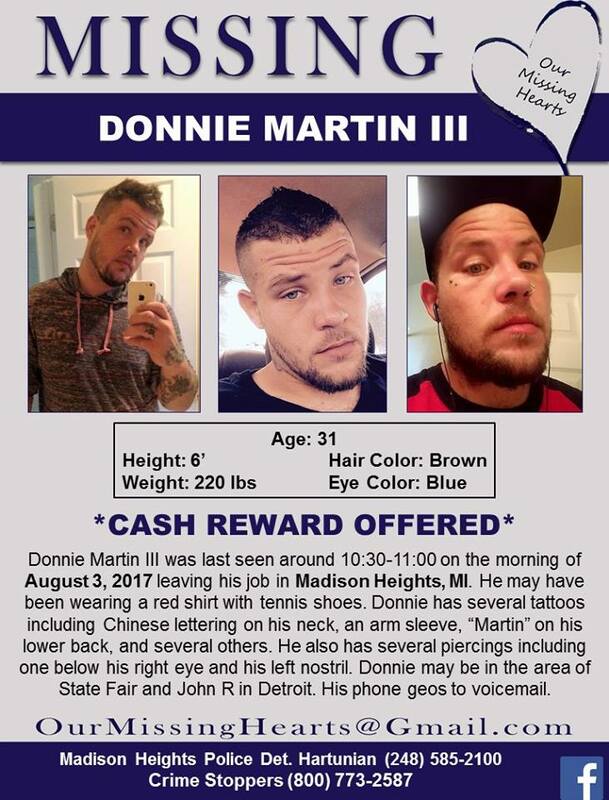 Donnie Martin was last seen midday on Thursday August 3, 2017. 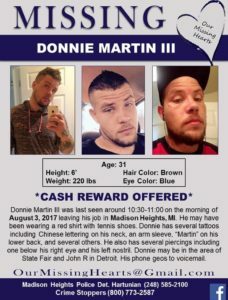 Have you seen Donnie Martin? If you have information contact CrimeStoppers or Detective Hartunian of the Madison Heights Police Department.